Dizraeli & The Small Gods are a talented six piece playing their very own breed of psychedelic hip hop music. With award-winning rapper & multi-instrumentalist Dizraeli on lead vocals and featuring world Female Beatbox Champion, Bellatrix, they really are very different from your average stuff. Dizraeli & The Small Gods are a 7 piece band from England, playing a folked out, melodic, unashamedly heartfelt reinvention of hiphop. In 2009, Dizraeli released his debut solo album, 'Engurland (City Shanties)'. He took a band on the road with him to support it and after touring together, this group of groundbreaking players from the two worlds of hiphop and folk became the Small Gods. Before they knew it, they’d won themselves a slot on the West Holts stage at Glastonbury, collaborated with Shlomo at the Queen Elizabeth Hall and worked on live projects with artists as diverse as Chris Wood (BBC Folk Singer of the Year) and Jam Baxter, as well as rolling all over the place in a fart-smelling bus playing shows to a growing crowd. 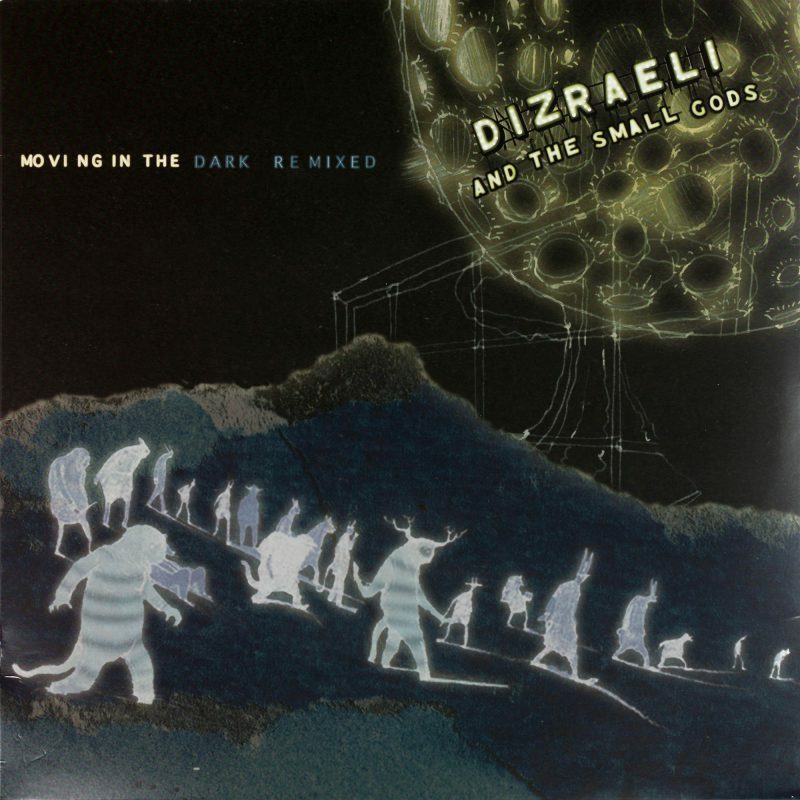 Dizraeli & The Small Gods released their first single as a full band in April 2011, further singles in were Never Mind in November 2012 and Million Miles in January 2013. Followed by our Album Moving in the Dark in March 2013. They want to tingle your spine, nod your head and generally folk with your idea of what hip hop can be. There’s there's nothing better than travelling with these friends, bending everyone's boundaries. Dizraeli & The Small Gods were shortlisted for the 2014 Songlines Music Awards for their album 'Moving in the Dark'.